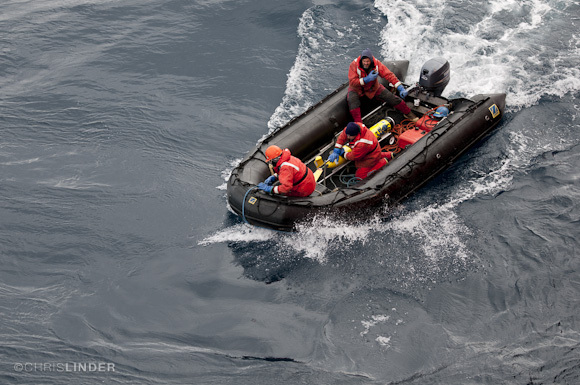 From late December 2014 through early February 2015, Project CONVERGE scientists are living at Palmer Station, Antarctica, to study the food chain that supports everything from phytoplankton to krill to penguins. Back in the states, 22 middle and high school classrooms in New Jersey will conducti their own research projects to learn more about the Antarctic ecosystem. 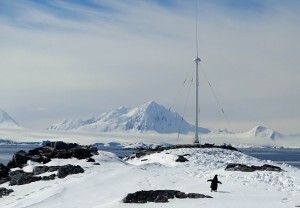 Each class will have an opportunity to chat live with researchers in Antarctica during the project, and scientists and students will come together in April for a Student Research Symposium. Check out the daily photo essays for firsthand stories on the research and daily life on the remote Antarctic Peninsula. 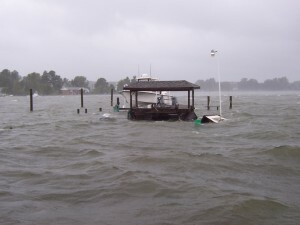 Sea Level Trends – This activity explores one facet of climate change — sea level change. Investigate and compare long-term changes in sea level from different coastal locations around the United States. Heat Capacity – Students use ocean observing system data to investigate the concept of heat capacity and find out why water acts as a thermal buffer and the practical applications this has. To see other Lesson Plans visit the Lesson Plans & Activities page. 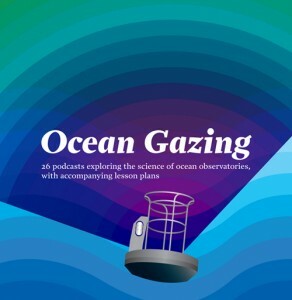 Ocean Gazing is an audio series that focuses on how scientists and the public use real-time data gathered from ocean observatories in their professional and personal lives. The goals of this series were to: 1) help ocean scientists communicate their stories in a clear and engaging manner; 2) provide the public with an entertaining, informative and reliable means of accessing the research laboratories and field sites of these scientists. 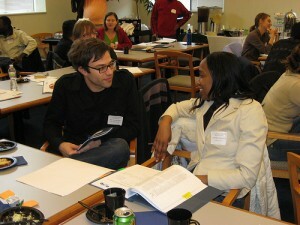 To help early career scientists better integrate their education and research activities and more effectively communicate the “broader impacts” of their work, five COSEE centers have collaborated to create the Gears Professional Development Workshops. To learn more about these workshops and the information covered, check out Scientists events section on the Scientist Resources page. 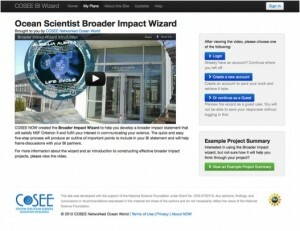 The Broader Impact Wizard is a quick and easy five-step process aimed at helping scientists develop a broader impact statement that will satisfy NSF Criterion II and fulfill your interest in communicating your science. For more information about the wizard and an introduction to constructing effective broader impact projects, check out the Broader Impacts page. 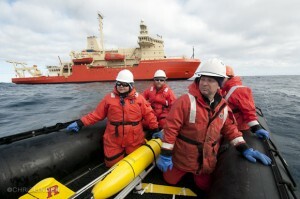 In January 2011, a team of researchers set out aboard the icebreaking ship Nathaniel B. Palmer to study the Ross Sea, a shallow bay in the Antarctic coastline. They were investigating the microscopic ocean plants (phytoplankton) at the base of the Ross Sea’s food web and the special combination of currents, nutrients, and trace metals that allow it to thrive. At the same time 17 middle and high school classrooms in New Jersey participated in the Ross Sea Connection education project that connected the students with the scientists. 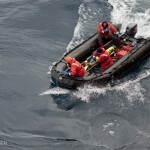 While at sea, the research team connected live to provide the students with a once in a lifetime opportunity to discuss the research in real time and ask questions. The MATE Drifter project uses student-built ocean drifters as the focal point for incorporating ocean technology, real-time data collection, and data sharing into curriculum. Ocean drifters are floating platforms equipped with sensors and satellite communication technology that can transmit data on a nearly continuous basis. 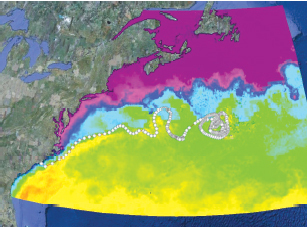 They provide the maritime community, scientists, and the general public with real-time observations relating to ocean properties, such as currents and temperature, which have widespread applications in optimizing shipping routes, search and recovery, oil spill mitigation, recreation, and science. COSEE NOW is an online network of scientists and educators focused on increasing ocean literacy and fostering collaborations. 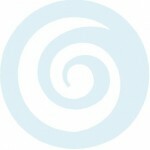 co-creating quality education and media products for use with the general public. •Summary of how different programs from COSEE NOW were developed, evolved, and utilized by the science and/or education communities. 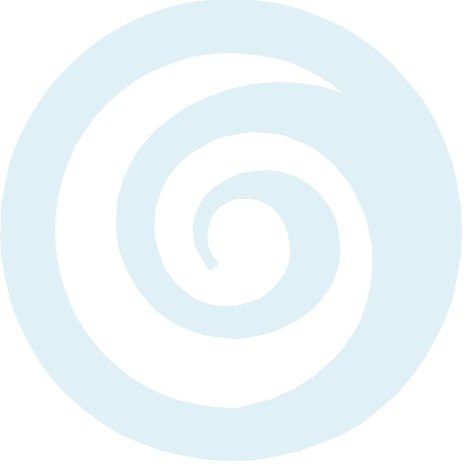 •Explanation of significant contributions to the ocean science education field. •Access to research, publications, and presentations that came out of the COSEE NOW program.